With Kansas vote totals in flux, Kobach says he will recuse himself – Welcome to Wyandotte Daily! In a cable news interview Thursday night, Kansas Secretary of State Kris Kobach said he will recuse himself from the vote-counting process in the closely contested Republican gubernatorial primary. “There really is no point to it, but I’ve said if my opponent wishes me to, I’d be happy to. It’s purely symbolic. 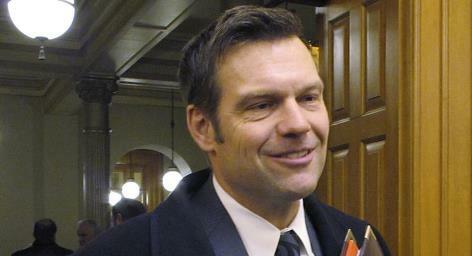 I don’t think he understands the process,” Kobach told CNN’s Chris Cuomo. He went on to say he would make a “formal response” to Gov. Jeff Colyer’s recusal request Friday. Gov. Colyer on Thursday had called for Secretary of State Kobach to recuse himself from the canvassing process in their race for the Republican gubernatorial nomination, deepening a rift that could have implications for November’s general election. Colyer’s push for Kobach’s recusal came soon after Kobach’s lead over Colyer in the unofficial statewide tally from Tuesday’s primary dropped to less than 100 votes. That was the result of a discrepancy discovered in the vote total reported by Thomas County in western Kansas. The county election office reported Colyer won 522 votes, but the Secretary of State’s office was reporting Colyer won 422 votes in Thomas County. Various media outlets soon discovered discrepencies in several other counties, including Wyandotte County, leaving the exact difference between Kobach and Colyer uncertain. A spokesman for the secretary of state’s office told The Kansas City Star vote totals at the secretary of state’s office’s website would be updated Friday. In his letter directed to Kobach, Colyer called for Attorney General Derek Schmidt to oversee the vote count instead of Kobach. 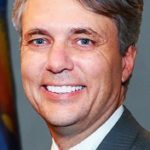 Colyer wrote he had heard reports of Kobach directing county election officials to toss out some mail-in ballots. Colyer also said he has set up a “voting integrity hotline,” citing “countless reports” from voters saying they had issues at the polls. The secretary of state’s office said it plans to update unofficial vote counts with provisional and mail-in ballots by 5 p.m. Friday. Any mail-in ballot postmarked by election day and received by the secretary of state’s office by Friday should be counted. County canvassing boards are set to begin meeting next week to certify their county’s results. Stephan Bisaha is a reporter for the Kansas News Service. Kyle Palmer is KCUR’s morning newscaster. Kansas News Service stories and photos may be republished at no cost with proper attribution and a link back to the original post.